An extraordinarily striking bed with wings that wrap around and over its occupants. 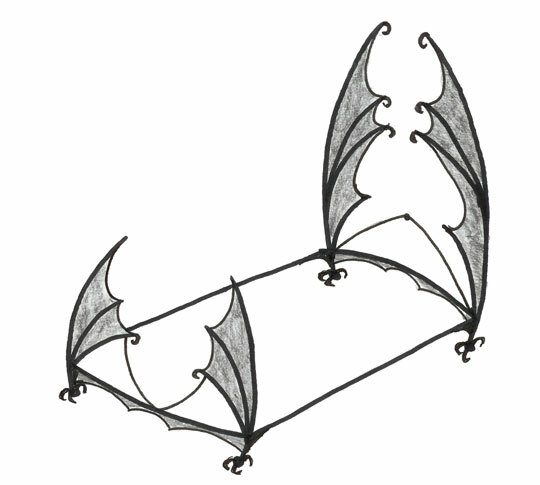 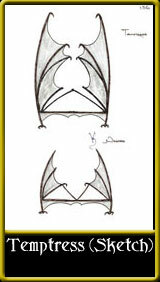 The wing membranes are made from sheet steel which can be given a textured finish if required. Made from solid round bar with a patterned surface and standing around 7'6"/2.29m high. 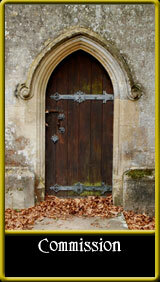 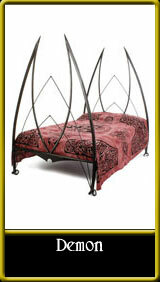 this can be modified to suit your own requirements if needed. 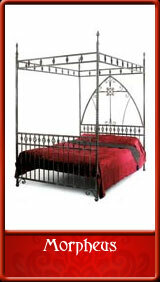 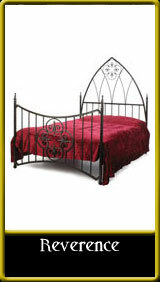 The Temptress bed has also been designed to split into sections for ease of access and handling. The Temptress bed can be modified in numerous ways to make it even more unique and personal to you.